You Are Here: Home > 2018 INFINITI QX60 vs 2018 INFINITI QX80 | What’s the Difference? 2018 INFINITI QX60 vs 2018 INFINITI QX80 | What’s the Difference? INFINITI is a manufacturer of luxurious vehicles, and the SUVs offered by this automaker are sure to please anyone looking for a family hauler that’s more than just a utilitarian hulk transport. Both the 2018 INFINITI QX60 and QX80 models boast three rows of seats, plenty of cargo space, lots of standard features, and several enticing package options. Like most luxury SUVs, these models are basically offered in a single trim, but the customization possibilities are almost endless. The 2018 INFINITI QX80 is a bit larger than the QX60 and has a larger, more powerful engine, but the QX60 will suit those buyers looking for a classy interior and more cabin volume than most rivals in its segment. The 2018 INFINITI QX60 is tall and has conventional doors, so it’s really like an alternative to a minivan. There’s plenty of room inside, and the tilt-and-slide function of the second-row seats makes for easy access to the rear seating area. Standard features include tri-zone automatic climate control, leather upholstery, a 50/50- split folding third row, and a sunroof. High-tech goodies include a 7-inch screen display, a six-speaker stereo, Bluetooth, and satellite radio. The power driver’s seat can be adjusted to fit even the tallest individuals. Elbow and shoulder room in the front is excellent. The 2018 INFINITI QX80 is a bit larger on the inside, and the front seats and second-row seats offer more headroom and legroom than just about any other SUV in this segment. Standard features on the QX80 include leather upholstery, a heated power driver’s seat, second-row captain’s chairs, and an 8-inch screen display. Bluetooth, navigation, and satellite radio are also standard. The 2018 QX60 can be purchased with either front- or all-wheel drive. The V6 is quite powerful, and it’s paired to a continuously variable transmission. Unlike some of the other models from INFINITI, this model is geared more toward quietcomfort than toward performance. Suspension is soft, and there’s virtually no road or wind noise. It’s linear gas pedal and brakes, light steering, and Eco mode are big selling points. It’s not the absolute best choice for off-road travel, but it does just fine on dirt roads and uneven pavement. The 2018 QX80 is powered by a 5.6L V8, and it’s available in either rear- or all-wheel drive. Acceleration is great, and braking is tops in its class. It’s a big, three-ton truck-like vehicle, but it drives more nimbly than most would expect. The self-leveling hydraulic suspension keeps this big SUV stable around tight turns. Both the 2018 INFINITI QX60 and QX80 models are offered only in a single trim, but buyers can choose from a number of stand-alone options and package deals. For example, the QX60 can be purchased with a Premium package that adds roof rails, a heated steering wheel, a keyless entry that connects to a memory system that automatically repeats the preferred climate and navigation settings, and a 13-speaker Bose sound system. An example of the QX80’s package options is the Driver Assistance package. This adds on a bundle that includes adaptive cruise control, blind-spot monitoring, lane departure warning, forward collision warning with pedestrian detection, and stolen vehicle notification. These two luxury models from INFINITI are built to last, and they can handle the whole family plus cargo with ease. Which is right for you? 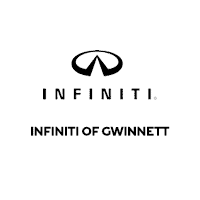 Contact us today at INFINITI of Gwinnett to schedule your test drive of both the QX60 and QX80.